Today I got to talk with Jonny Coreson who is still currently serving in the Untied States Navy. 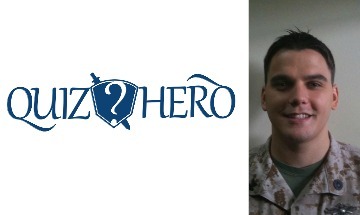 He is also the founder of Pillar Games and has his first game Quiz Hero set to launch in just a few days on December 17th. This episode is packed with great content we talked about everything from how Jonny got in the Navy from his home town in Alaska to how he found a big business idea that lead to Pillar Games while studying for board. When his fellow soldiers saw that he was able to successful pass after just a few months when it generally takes 2 to 3 times as long. We also talk a lot about what soldiers can and should do while still serving that can help them long after transitioning out of the military, a must listen ! Click Here to Thank Jonny on Twitter !